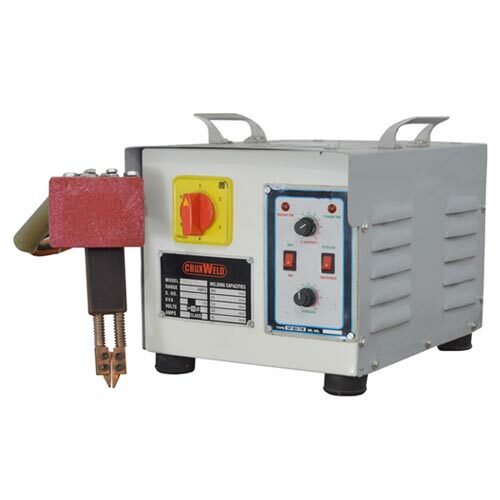 Lithium Ion Battery Tab Spot Welder manufacturer in India for the best quality machines at a competitive price. We supply machinery across the globe. The CRUXWELD is a manufacturer of the Lithium Ion Battery Tab Spot Welder for the quality products with its best post-sales services. In recent time more and more people are looking for a customized or rebuilt battery pack which is being erected by the spot welding machine. We use the method to join the battery to increase the interest to an ability to get a higher quality battery pack for the least money. With the usage of this machine, we can provide customers with higher grade cells at a very low than a retail price. We can add a loyal, long-lasting customer while still making a significant profit. We make battery pack consists of welding thin Nickel tab fro one battery cell to another with the help of the battery spot welder. The applications of this equipment are Battery pack production, custom battery pack, a rebuilding of the battery pack, weld alkalineNicd, Lithium ion cell type, NIMH etc. We supply a wide range of battery spot welder across the nation. Our products are light in weight, compact with robust design in construction. They are safely used at the site and provide the reliable dynamic output current characteristic for the better transfer rate with a minimum spatter. Our machines are lightweight, strong, crack resistant with smooth performance. The products what we offered are designed using quality tested material, high performance, low maintenance, high durability, sturdiness and robust design. We have robust infrastructure facilities which make the entire process of production fast with great quality. The wide knowledge and experience have assisted us in designing a big range of our spot welders. We are exporting our products to different counties and helping Make in India project of our country a successful venture.